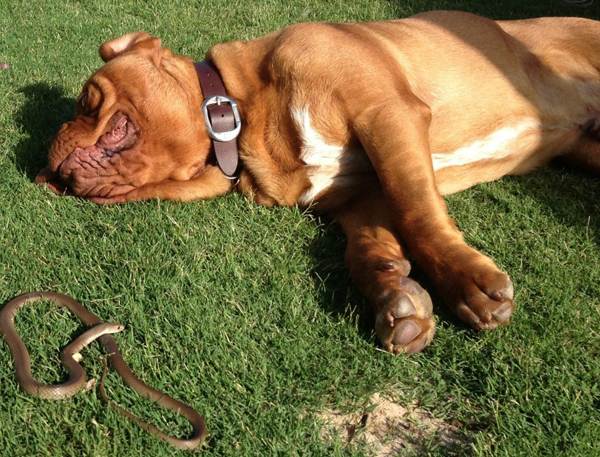 As the weather warms up, snakes become more active and can pose a threat to curious and playful pets. It is important that pet owners safeguard their pets from snake bites and look out for the warning signs should an animal be bitten. 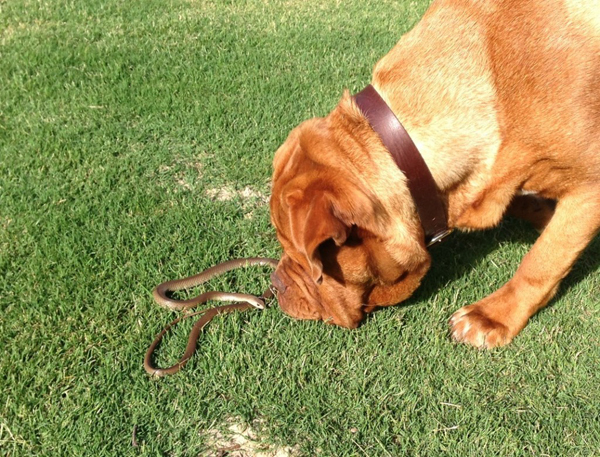 Dogs will often chase and attempt to kill snakes resulting in bites usually to their face and legs. The hunting instinct in cats also makes them susceptible to snake bites, so keeping cats indoors protects them and our native wildlife. Animals will react differently to a snake bite depending on the location of the bite, the type and size of the snake and the amount of venom injected. Generally, the closer the bite is to the heart the quicker the venom spreads to the rest of the body. Bites are also more severe at the start of summer due the snake’s venom glads being full after winter hibernation. In South Australia the eastern brown or common brown snake (Pseudonaja textilis) is responsible for most of the snake bites in domestic pets. Their venom contains neurotoxins and blood coagulants causing paralysis and internal bleeding. The tiger snake (Notechis scutatus) is also attributed to bites, but they are seen less frequently in urban areas. Tiger snakes also vary dramatically in size and colour depending on the geographic region so can be hard to identify. Tiger snake venom also contains neurotoxins, coagulants, haemolysins and myotoxins, resulting in muscle and kidney damage. NEVER catch or kill the snake! All Australian snakes are protected and you may expose yourself to unnecessary danger. If you can identify the snake tell your veterinarian, but never put yourself or others at risk by doing this. 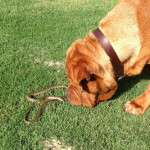 If it is dead, bring the snake with you, otherwise there is a blood or urine test that can identify whether your animal has been bitten and the type of snake responsible. Once the snake has been identified your vet can administer antivenom. Antivenom is produced by gradually immunizing horses to the venom of a species of snake (this causes no harm to the horse) so the horse will produce antibodies against the venom. The horse’s blood is extracted and the serum is separated and purified to make the antivenom. It must be noted that antivenom will not protect pets from future snake bites. Please be warned that antivenom is quite expensive and can result in a hefty veterinary bill, so best to try and keep your pets as safe as possible. 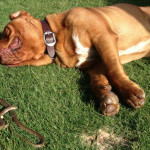 If you are walking your dog close to bushland – especially near water during the summer months – please keep your dog on a lead and avoid long grassy areas. Keep the grass low in your backyard/property, clean up any rubbish piles or clear away objects where snakes may be able to hide (wood piles, under sheets of corrugated metal etc.). If snakes are a common threat in your area, you could consider building a snake-proof fence around all or part of your property, or contact your local council or reptile removers for more advice on snake deterrents.